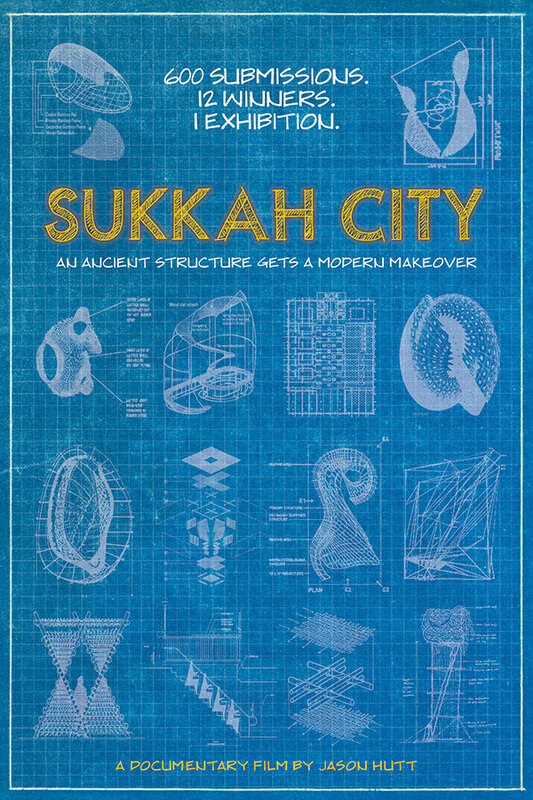 The World Premiere of “Sukkah City,” a documentary about the architectural design competition I co-created in Union Square Park, NYC, will take place on July 9th and 10th at the 2013 Jerusalem Film Festival. Here is the trailer. In the vein of the Maysles’s films with Christo & Jean Claude, the film tracks the competition from jury day, as an all-star cast of architects, academics and critics (Thom Mayne, Paul Goldberger, Ron Arad) debate the merits of the 600 submissions; to the construction, installation and exhibition of the twelve winning structures in Union Square in the heart of New York City; and the critical and popular response of some of the 200,000 New Yorkers who attended the two-day exhibition. The film explores the artistic process of architects, documents how an ancient building was reinvented for the 21st Century, and reveals how there is a good story behind all interesting architecture.